What's New On Teaching Heart! What's New at Teaching Heart. Stop by this page often to see what I have updated or added. You won't miss a thing if you check this page often! I hope this page makes it easy for you to see what's new on www.teachingheart.net !!! Coming in Oct. 2009- Any Skill Board Games!!!! Fixed broken links and added a few new ideas. k-3 Teachers who love to share ideas and get ideas from the site. Members will be given a link to a free activity sheet at least once a year! If you are on Facebook and love Teaching Heart, please click and join us!!! Updated with new links and got rid of dead links. Added some new products. Fresh new look. Hoping this will be the place to be for all a k-3 teachers winter planning. New graphics, cleaned up the page, added Jan Brett's new Gingerbread Friends book. Added two new books: Hands as Warm as Toast and Go Home, Mrs. Beekman. Hands as Warm as Toast includes many free printables from Mitten Press. Go check out two new reads!!! A new page with fresh Froggy fun! Ideas to match the Froggy books. What k-2 grader does not love Froggy. Here you will find some ideas to match various Froggy books. Two of my favorite things are being a mom and a teacher. Teaching Heart is the website where I share things for the classroom and homeschool. I feel I have a few things I would like to share that may not necessarily be related to Teaching and as a result I have created a blog. I have been out and about the internet world reading many blogs and learning about the blogging world for a few months now. A few weeks ago I took the plunge and became a blogger and created the Teaching Heart Mom Blog. Basically, I will be sharing tips from my everyday life and it will be a more of a personal area for me to share my ideas from a mommy perspective. If you have a blog and are a mommy, I would love you to comment on my blog with a link to your blog. Happy blogging! About Time! I bet that is what many of you are thinking! Yes, the last time I updated this page was in 2001. I get at least an email a week telling me how I have so many broken links on this page. I had to use an internet archive to find some of the old scripts. I also found some new resources to share with you. ENJOY!!! Plan to keep working on this, but thought I would still share. IPOD/PODCAST Page - I have been working on this page for a bit. I have been wanting to share all the resources I have found on this topic... So here it is! Thanks to all who shared ipod ideas. I will list the winners on the 2nd. Graphing Starmallows - Found these cute marshmallows at my grocery star and had to make a graphing and sorting sheet for them. The marshmallows are only available this time of year (summer), so if you want to get them for election time or back to school... go grab some bags now and store them away. Click here to download the word file. Three pages of activities; sorting, graphing, & making math problems! COMING SOON - A Froggy Literature Unit! COMING SOON - SUMMER FUN IDEAS! Free Printables From a Teaching Heart Friend can be found on the Back to School Page when you click on Printables. They are too cute... go check them out! Updated the Kissing Hand Page - Got rid of dead links, adding more links! Get those end of the year orders in before the dates below! Teaching Heart will be out of the office April 29 through May 7. All CDROM orders placed after April 28th will ship on May 7th. All packet orders will not be emailed in 24 hours. They will be emailed on the 7th. This also includes any wrapper orders. Teaching Heart will be out of the office May 14 through the 27th. All CDROM orders placed after May 13th will ship on May 27th. All packet orders will not be emailed in 24 hours. They will be emailed on the 27th. This also includes any wrapper orders. If you placed an order and have decided you no longer want the file, just send us and email before the return date! Mothers Day is quickly coming around the calendar!!! Please check out two sites that get a Teaching Heart Thumbs up!!!! Mom will love these unique gift ideas. Click to view index and learn more!!! Just in time for bunny time... I am sharing three activities to use with the Jet-Puffed Bunny Mallows. These are free samples from the new Teaching Heart Sing for Spring Packet! Use the link below to download. Wow, is it another year already? It is a big one for us... This will be Teaching Heart's 9th year online. We have come a long way and I am thankful to my family and friends for all their support over the years. I am also thankful to my visitors kind words and encouragement over these nine exciting years. I truly am blessed in my life with a great family, awesome friends, and a wonderful business that allows me to share my God given talents. It is such a pleasure working with and helping teachers all over the world. We had our best year of sales and were able to make donations to various schools, families in need, Universities, and Non-Profits (Mothers and More & Autism Speaks) because of your support in purchasing one, some, or all of our products. I wish all my visitors a wonderful New Year. May you be healthy, happy, and continue to love & teach the children in your lives. Please be sure to check the site often in 2008. I have plans to update many of the pages, add new pages, and to upload more free printables. I also have some more products to add to the site in 2008. The next few notes are some items from the holidays that I would like to share with you all before I forget... I'll remind you again next year in my newsletter. I just did not have time before the holidays to get these ideas online... sorry! Just wanted to share this game I made up for my family to play on Christmas Eve. It was a HUGE hit with everyone. I thought I would share it & you could save it for next year or another family gathering... if you are looking for a fun family activity. I know I searched online and could only find Power Point Christmas Jeopardy and nothing too much more exciting. So I tweaked a friends idea and came up with this game. I had each family member send me (keeping their answers only to me) the name of their favorite song, favorite guilty pleasure, favorite Christmas song, a song that reminded them of the person they were buying for (we each bought for one person this year), and a song that would be a great song for our family theme song (you know, if your family was on TV, what song would start the show). I put all the songs on my ipod so that I could play them when needed throughout the 5 rounds (I only played songs in three of the five rounds and only played like 30 seconds from each song). The game sheet is attached in PDF. It is printed two sided and folded like a brochure. Below you can download it in Publisher (which you can modify to fit your family) or in PDF. Of course there were prizes for the big winners! You can get creative with that! I also burned each couple five CD's that included all the chosen songs. It was an interesting collections, to say the least... especially when your age span is 15 to 60 years. Once you open a file below, you will have a better understanding of how the game works. Hopefully one of you will enjoy this game as much as we did!! We also played Scene-It: which is another fun family game that can be played in teams. Below you will find links to the Scene-It games found on Amazon. Another fun holiday thing to share. I created a nice gift idea for the child in your life... It is called Grinch on a Trip. 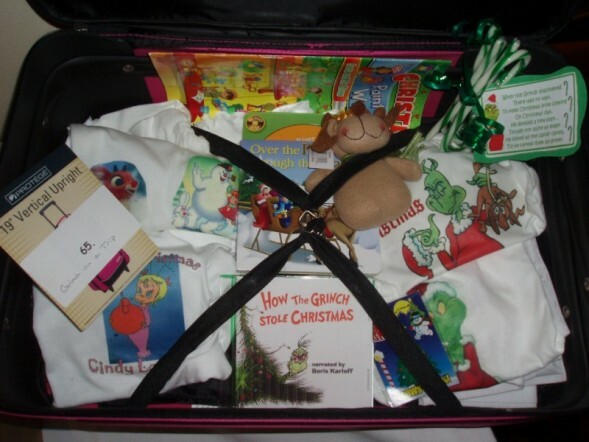 Just get a suitcase, buy some white shirts in your child's size, get iron on computer paper, a Christmas Coloring Book, some green candy canes, the Grinch Book, and download the Grinch Soundtrack. Put this all in a suitcase and you have a great gift... see below. PS. I found the little dog stuffed animal at the dollar store. Too cute! Below is the link to my favorite kind of IRON ON PAPER. I have tried many kinds and this in my favorite! I think this is the last item I would like to share... 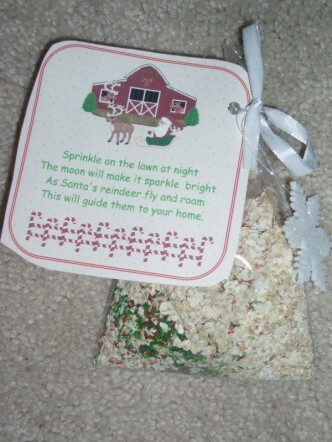 I made Reindeer food this year for my son's class and decided to change the tag. I put the food in clear plastic bags and tied a Santa charm on the bag. Many of the Teaching Heart visitors have requested a Thanksgiving Packet for their November planning... Here is a packet filled to the brim with wonderful NEW hands-on Thanksgiving printables! The ideas can be seen here and you can decide if you wish to purchase the printables to match the ideas!!! Fixed a typo. For directions to this activity, please see the Dem Bones page. -Added the story of the Little Orange House. The story includes directions and free props to print when telling the story. NEW PAGE!!! Ideas and Printables for parents who are planning a Spiderman Birthday Party. Updated page. Got rid of dead links. House cleaned this too. Got rid of the dead links and added some new ones. Cleaned this up too. Got rid of dead links and added new links. Updated with picture of graphing center. Deleted broken links. Get your classroom graphing center set-up with these GREAT graphing ideas! Nine new free printables. All the printables you will need to set-up a gaphing center in your classroom. Updated this page. Got rid of bad links and added some new links. Ideas and FREE printables to match this book! Great book to read at the end of the year!!! 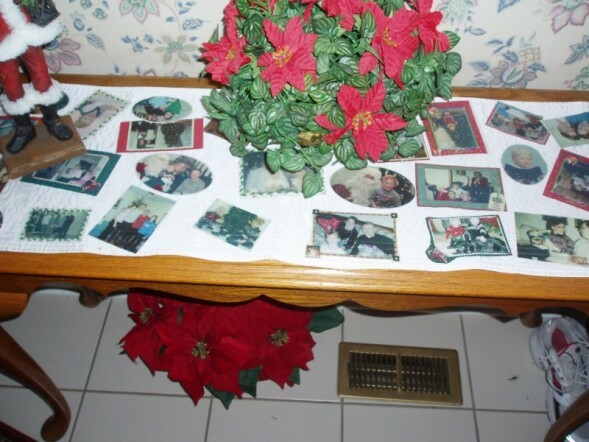 Added Bath Tub Gift Picture and Baby Flower Socks. Favor ideas, program ideas, shower games, shower recipes, and so much more! Some goodies to add to your lesson plans for October. New Ideas and printables to match this cute book! Free Printable Behavior Charts and Little E Ideas. Added a new free printable to go with Juicee Gummee Graveyard Ghoulees Halloween Candy. In honor of the movie here are some ideas you can use in your classroom. If you are a parent with a cars fan, you will find great party ideas. Keep checking this page through the summer months as I update it. Happy Father's Day. A cute little card to attach to a Dad's Day Trail Mix You Make With Your Class. Announce the birth of a baby with these wrappers. Sure to be a hit at your office or in your child's classroom! Updated this page a bit! This page is always worked on and added to during the summer months. Come see what's new! Added new pictures from a birthday party. Just added this page after many requests for ideas. I created a few free printables to use with the unit. Go Steelers! Updated this after not touching it for many years. The links were all dead and now they are working again and new pictures and ideas were added! I heard you all. My inbox was filled with requests for ideas on this topic. Here is what I came up with. You will be happy to see 5 free printables in pdf format on this page. I hope you can use an idea or two in your classroom! Updated with an easy to read index and updated links! Lesson ideas and links to match one of my favorite books. A new unit on this O-So-Cute book! I have included many ideas as well as many free printables to use with this story! Added some poems and links. Also added a new free printable. Added three free printables at bottom of page... Merry Christmas! Since the cereal is no longer available, I created a graph and sorting sheet for the Polar Express that does not need the cereal to complete. Happy Holidays! I have gotten many emails asking for more files with a snowman or gingerbread theme. Here is what I have come up with! There are 16 exciting files to use during your winter teaching. The graphics are adorable. The Graphic Artists I purchased the graphics from asked that I create the files in PDF format. As a result this kit comes to you in a zip folder. When you open the zip folder, you will get all the files in PDF format. You will not be able to modify the files, just use them as is! For those not interested in purchasing, I have included two free files for you to download and use with your students. Enjoy! I am excited to share these great bracelets with you just in time for the holiday season. A friend of mine, Amy Cohen, makes beautiful bracelets. She made me one with my sons name and his birthstones on it and I love it. I am looking forward to adding another strand to my bracelet when the new baby comes in a few months. I have been bugging her to make some bracelets for teachers. As a result she came up with three awesome bracelets. These would make great gifts for your teacher friends or a student teacher. You could always treat yourself. Also included on this page are the Mommy bracelets, little girl bracelets, and the breast cancer bracelets that she makes. Check them out and purchase with confidence. My thumbs are up! Looking for an easy to make winter gift for staff, students, or friends? Here are a few of my ideas with the option to purchase the printables and make them yourself. Two custom candybar wrappers are included. Reindeer Food Tag free to print and use! Added a few pictures of a playdoh book made by a friend. Also added free PDF printables I made for the peanut butter book, teddy bear book, and the swat a bug game. Updated with two new printables for a magnetic center. Pictures are included! Added a sorting sheet made by Kimberly, a Teaching Heart Mailring Member. Thanks for sharing Kimberly. You are a teacher with a TEACHING HEART!!! Boo a Fellow Teacher or Neigbor! This little printable will tell you how and give you the needed printables to do so! Too Fun! Updated Page with a few ideas and a bulletin board shared with Teaching Heart. Ideas for Halloween treats you can give your students. Many of the ideas include a free printable to match. Also included is a ready to order custom candy bar wrapper. Added a free pdf graph for Lucky Charms SPOOKY Cereal to the Dem Bones Page. It is at the bottom of this page! Enjoy! 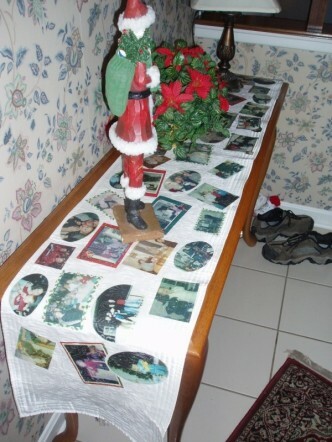 Added a picture of a craft idea. Stamping Halloween Bags. A new page. Mostly ideas for parents who are interested in having a Thomas and/or Train Themed Birthday Party for their child. Also, includes links to many train units/lessons online. Changed the graphics. Added some other candies and some printables to match. Also put the files in PDF rather than word! Changed a few graphics and added some pictures of some Teaching Heart resources. New page. There are some great ideas for back to school. Updated book & site of the month! Added a page of frequently asked questions concerning our CDROMS and packets. Updated with a cute kiss idea shared on the Teaching Heart Mailring. Updated with files sent in by Teaching Heart Members. Added files and new pictures under Deb Green. Thanks Deb! Major Update to the page! Added files, pictures, and new ideas. No more broken links. Thanks for you patience and the many emails asking for the page to be redone!!!! Hope you like it! New Page with tons of free goodies to print and use. Updated this page. Find ideas of what to read to your class on the first day of school. Many books list lesson ideas to match the story! Just added this page... Plan to update it and have it all done by August. New page of watermelon ideas, lessons, links, & more. Great way to start or end a year! Added a new Back To School packet. Also made the packet available on two CDROMs. Share and idea and win some goodies!!! Awesome pictures and so many ideas from Dr. Jean!!! Added the packet to the page. New theme added. Great unit for May-June Time Frame!. It's done! Many of you know that I started working on this packet last year! I put it aside and started working on it again in Jan. 05 and I finished it tonight!!!! So it is ready to be emailed out to those that wish to order it. A big thanks to the many of you that emailed me about getting this packet done - you kicked me into gear! ;) You will find many goodies for the End of The Year, Ice Cream, and The Beach!!! Added two cute yummy treats (included picture). Also added a link to some super cute spring time recipes!!! Also added an idea from the Teaching Heart Mailring. Hope to add some more ideas from the mailring this weekend. Add a seperate page all about Jelly Beans! Added a Spring Page. You will find three free printables from Teaching Heart here. You will also find some great ideas from various sources. Added new awesome apples and new site of the month! I am so excited to share this page with you all. I am so amazed at all the wonderful lessons. printables, and pictures sent in by teachers around the US. This page is filled with tons of free goodies. You will be spending lots of time reading and printing - so plan on grabbing your coffee and hanging out for awhile. I am sure you will want to hug the many teachers that shared their ideas!!! Contest results page were added. Fixed the links page and added a new link to the Seuss page found at the Virtual Vine - Good Job Cindy! Happy V-day from Teaching Heart! Your studemts will have fun & learn with the Valentine's Day Cards they are given (Grades 1-3 - more modifications will need to be made for grade 1). 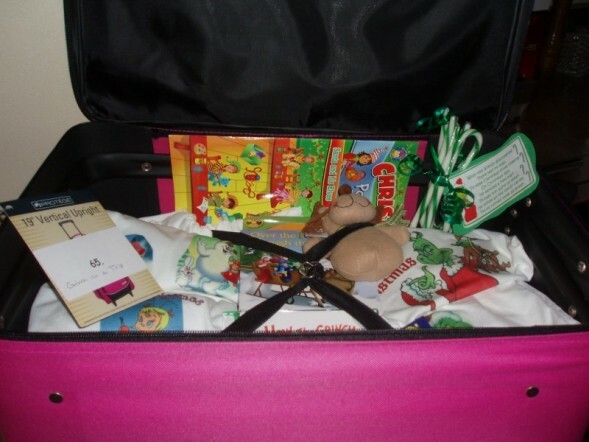 Want to win a Dr. Seuss Take Home Bag Filled with so many goodies? Come check it out! Added this new unit. Hope to add more to it over time. Added more ideas that were shared on the Teaching Heart Mailring. Added some ideas that were shared on the Teaching Heart Mailring..
Added this new mini unit to match this book. Kohls Cares For Kids is selling the books for $5. Plan to add more to this in the near future. Added new packet. I have had many requests for a new packet... So here it is... a winter packet with a snowman / mitten theme. Click on over and order it today. Added an idea and some resources from Oriental Trading. Added new packet. I have had many requests for a new packet... So here it is... a winter packet with a snowman / mitten theme. Click on over and order it today. Also, you will find one free emergent reader here for you to download and use. Updated book of the month, site of the month, and added new awesome apples. Plan to work on all of these pages during the Nov. - Jan. time frame. Today, I updated some links. Added some poems, a link, and vocab. words. Getting excited about this movie!!! Only a few more days till it hit theaters. Can't wait!!! New book and site of the month added. Awesome Apples Updated for Winter Teaching. Added a cute scarecrow pattern (free to print). Update Scarecrow Page with many new ideas & links! Updated this page with 2 free sheets to use with the new Polar Express Cereal. Added pictures of two products from OT, added picture of train cookies, added some new links to more great goodies. Great October Lesson Idea. This page is all about Dem Bones!!! New Product Added. A Fall Packet that is sent to you via email!!! Added an idea & some facts. Added two printables created by Laurie Reed for Daisy Binders. Add a new K class to the list. Ready to set-up your room. Visit other classrooms to get a few idea. Added some new links and deleted the broken links. Added some statements from the Teaching Heart Mailring. Hope to add pictures of my STAR Books soon. Changed Graphics. Added a form for easy feedback. I would love for you to leave feedback on a CDROM you have purchased. Thanks! Added new site of the month! Added site of the month, books of the month, & must see pages! Everyone on the Teaching Heart mailring is starting to chat about the Moose System. They are sharing great tips. I added their tips to the MOOSE page today. I also added and area where you can upload your ideas. This will be worked on and added to all summer. Today I changed graphics & added a submit an idea form. Updated Index for the month. End of the Year - Updated with new graphics. I will be working on this for a bit. Look for future updates. Added a Spring Packet. Just $8.50!! If You Give A Mouse A Cookie - added a new link and links to the free printables on the CDROM # 4. Farm Unit - Updated with a link to the free farm mini book found on CDROM 4. Primary Teacher Timesaver For Teaching Reading and Literature CDROM is finally ready to ship. You will find the index along with many free activity sheets. Order today or print a few free sheets! Teaching Heart Logo Shop Added. A place for real Teaching Heart fans. You can now purchase shirts, mouse pads, mugs, and tote bags with our logo on them. Go to http://www.cafeshops.com/teachingheart to learn more and to make a purchase. Cat in the Hat Gummy Candy Graph and Sorting Sheet. Added a two page file to use with The Cat in the Hat Gummy Candy by Brach's to http://groups.yahoo.com/group/teachingwithheart/ (You can join now). Just click on files and you will see the file free to download. Vickie Schultz vickies@cableone.net was kind enough to make the graph and allow me to share it with you. I added a sorting sheet to match the graph. Thanks Vickie!!! One Fish, Two Fish, Red Fish, Blue Fish Free Printable Added! Added a four page file that can be used with the colored Goldfish crackers. You will find a graph, sorting sheet, data collection, and roll game in this file. If you are a member of http://groups.yahoo.com/group/teachingwithheart/ (You can join now). Just click on files and you will see the file free to download. Updated St. Pat Page with new graphics and more goodies! Will be adding some more free printables soon! to fill one more request from a "loyal" 2nd grade teacher. one is for sale. I have included two free pages for you to download.